Here are a few of the photos readers have taken of Not Dark Yet and shared with me. Thank you to everyone who sent me their photos! 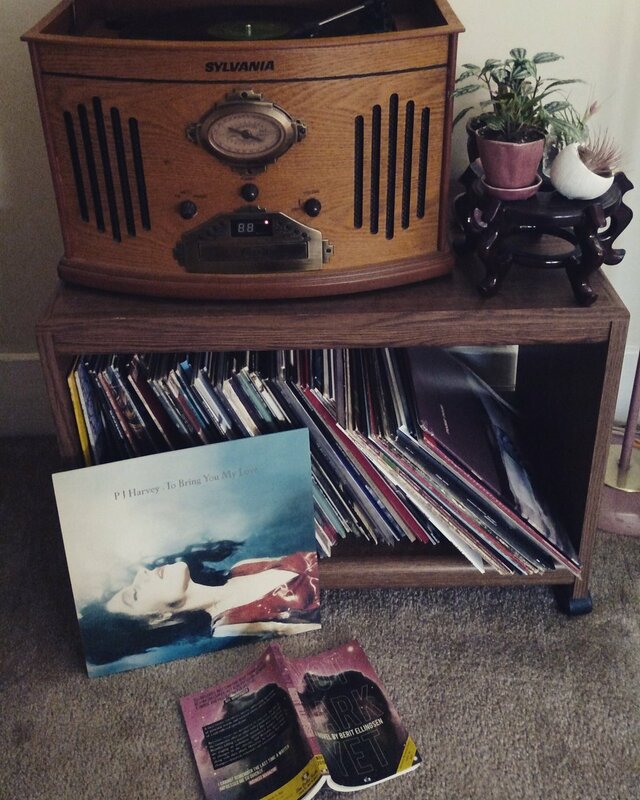 Writer Eric Shonkwiler read Not Dark Yet with PJ Harvey on vinyl. Eric’s latest book, Moon Up, Past Full, is a collection of hard-hitting short stories that glow in the night. Writer and translator Fábio Fernandes is one of my favorite book models. 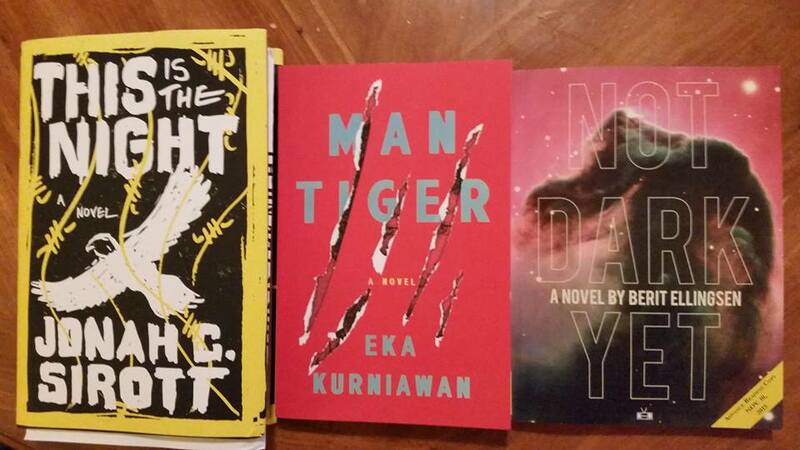 He has work published in Stories For Chip, We See A Different Frontier, and many other anthologies and magazines. 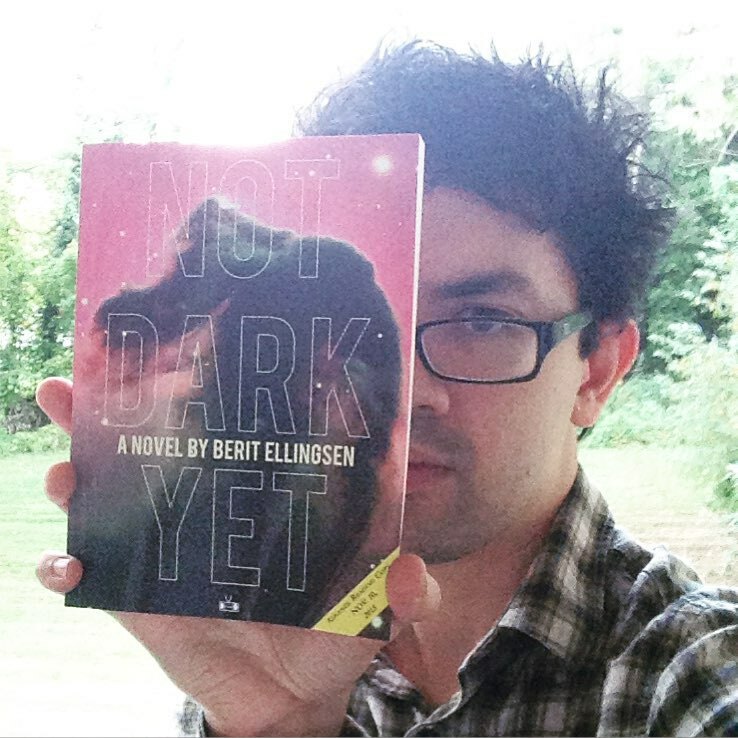 Writer and editor Gabino Iglesias read Not Dark Yet along with Lazy Fascist Review 3, The Revenant and The Bungalows . Zero Saints is Gabino’s latest gut-punching literary thriller. 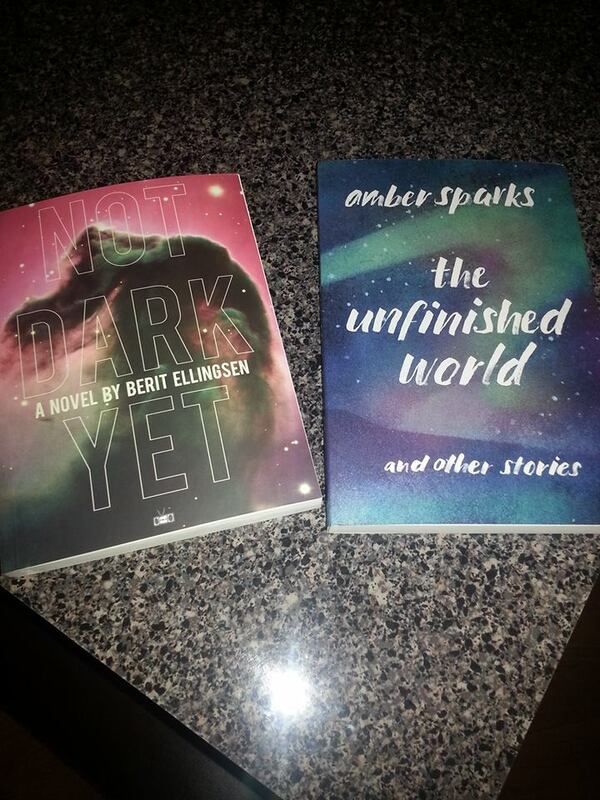 Writer and Chicago expat James Yates read Not Dark Yet with The Unfinished World by Amber Sparks, and noted the cosmic similarities of the covers. America This Is You is James’ latest story. 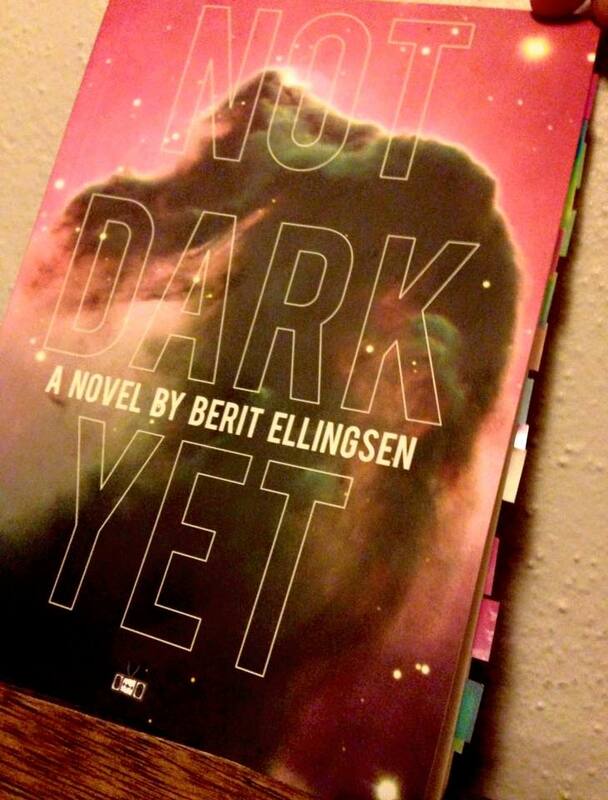 Writer, editor, publisher, and critic Jeff VanderMeer read Not Dark Yet with This Is The Night and Man Tiger. Jeff’s awesome and otherworldly Southern Reach trilogy is being turned into films. Writer Julia Dixon Evans marked passages in Not Dark Yet she enjoyed with tape. Her story Nineteen Things Only People Who Are Not Going to Survive the Hour Will Understand was nominated for the Pushcart Prize by Monkeybicycle. Check it out! 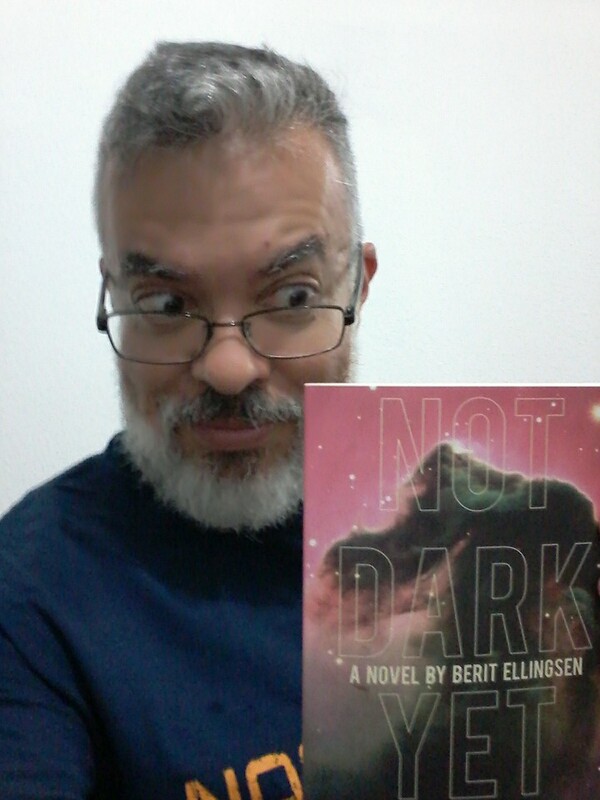 Writer, editor, publisher, and literary ambassador Michael J. Seidlinger was one of the first to read Not Dark Yet, and the first to model it. The Strangest, a modernization of Camus’ The Stranger. 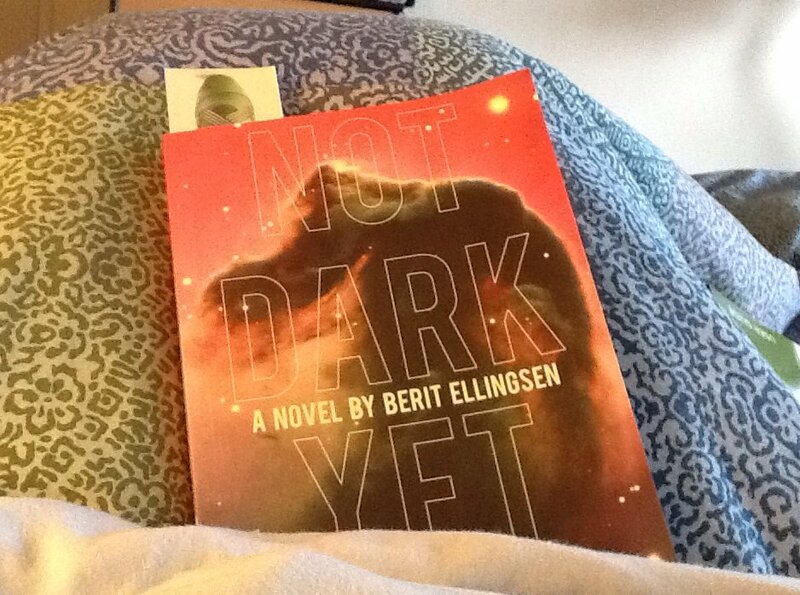 Writer, singer, and musician Valerie Polichar read Not Dark Yet on a lazy Sunday morning while listening to the rain. Almost Over is her brand new album.